Another proposal for an assisted living facility in Tredyffrin Township is on the Planning Commission agenda for Thursday, December 20 – this time its Russell Road in Paoli. My first thought is how many assisted living facilities is enough? For many years, the township only had one – Highgate at Paoli Point with 80 apartments. Then came the community battle over the long-abandoned Jimmy Duffy property on Lancaster Avenue in Berwyn and the subsequent construction of Daylesford Crossing, a 3-story assisted living facility by Sage Senior Living which opened August 2015 with 93 apartments. The approval for the Daylesford Crossing project was a long, drawn out process in 2012 which required a text amendment to zoning to permit senior living facilities as a by-right use in C-1 (commercial) zoning. It was argued at the time that the zoning change to C-1 was ‘spot-zoning’ to accommodate this specific project. Others, including myself, questioned what this change would mean for future C-1 development in the township. Meeting with success with the development of Daylesford Crossing, Sage Senior Living is building Echo Lake at Atwater in the western part of Tredyffrin Township. Echo Lake’s senior living is a massive 3-story, 250-apartment property with 160 independent living apartments and 90 assisted living and memory care apartments, set to open in January 2019. And then we have under construction in Devon (close to Whole Foods) Brightview Senior Living, the gigantic 450+ ft. long, five-story, 55-ft high building totally 181,000 sq. ft. on E. Conestoga. (As a reference point, Daylesford Crossing on Lancaster Ave. is approx. 80,000 sq. ft.). When completed Brightview Senior Living will have 196 beds. During the last six years, the township has grown from one assisted living facility (Highgate at Paoli Pointe) to four – Daylesford Crossing, Echo Lake and under construction Brightview. Developers are flocking to the township with their assisted living proposals. Earlier this year, the township Planning Commissioners reviewed an assisted living facility proposal for the Aquilante Catering property on Cassatt Road. The 300 bed project was met with an organized effort of neighbor opposition and the plans appear to have been withdrawn. Now, this coming week finds another proposed assisted living facility in front of the Planning Commission. Solera Senior Living has submitted a preliminary land development project for Russell Road in Paoli. Zoned C-1, the applicant wishes to demolish two existing office buildings (Synthes), consolidate three separate parcels and construct a 3-story, 116 bed assisted living facility. For those that may not know – Russell Road connects to Maple and Old Lancaster Avenues. Another developer seeking to build an assisted living facility in the township as a ‘by-right’ use in C-1 zoning. Unlike the location of Daylesford Crossing on 4-lane Lancaster Avenue, Russell Road is a narrow residential street in Paoli. The proposed 3-story assisted living facility on Russell Road would be at higher elevation than the residential homes which sit in the valley below the planned construction. Russell Road has no curbing and its resident’s battle major stormwater issues every time its rains – I cannot imagine how a large assisted living building and the associated additional stormwater runoff could possibly be managed. In addition to stormwater problems, placing a massive assisted living facility in the middle of this community is going to threaten the quality of life for the neighborhood, change its character and increase traffic. There are many reasons that I do not support an assisted living facility at the Russell Road location but an obvious question should also be asked – does the township really need another one of these facilities? Daylesford Crossing is not fully occupied and it opened over 3 years ago – plus Echo Lake opens next month and presumably Brightview sometime in 2019. When is enough – enough? Or is it a case of “build it, and they will come”? Another factor that needs to be considered with these proposed redevelopment projects (and sadly one that is often overlooked) is our local volunteer fire companies and emergency responders. Already burdened with staffing and funding needs, how are they supposed to keep up the increased demands of these assisted living facilities? Is Paoli Fire Company and Berwyn Fire Company notified when these types of land development proposals are under consideration? Here’s the agenda for the Planning Commission meeting on Thursday, December 20, 7 PM at the township building. Tredyffrin’s C-1 Zoning Ordinance Change … Still Looks Like Spot Zoning to Me! Until 11 PM last night, Daylesford neighbors and members of our community reasoned, argued, cajoled and attempted to change the minds of Planning Commissioners in regards to the proposed change to C-1 zoning to allow the use of assisted living facilities. Unfortunately, the Planning Commissioners ignored the dissenting voices of the community and recommended the C-1 zoning change. The Planning Commission meeting started with 8 Commissioners (Tom Cooper absent) but when the agenda moved to the C-1 zoning change, the PC Chair Bob Whalen recused himself, leaving the meeting without explanation. Attorney Denise Yarnoff, representing Ed Morris, the developer for the proposed assisted living facility (ALF) at the Jimmy Duffy catering site, wrote the C-1 zoning amendment change and its subsequent re-written version. Acting PC chair, Trip Lukens, asked that Yarnoff and Trisha Larkins, president of the Daylesford Neighborhood Association, provide opening remarks. Lukens requested Yarnoff and Larkins to confine their remarks to the C-1 zoning change only versus the specific proposed project – the assisted living facility at the Jimmy Duffy catering site. Although asked repeatedly to speak up, Ms. Yarnoff words were often barely audible to the audience. Standing directly adjacent to the dais, apparently it was more important for the Planning Commissioners to hear Ms. Yarnoff than the audience members. Whether by design or not, I probably only heard about one-third of Yarnoff’s remarks. However, as any good attorney, throughout the evening, Yarnoff provided an explanation or response to any question or concern posed by the public, Planning Commissioners or township staff. It was unclear to me (and remains so) why Yarnoff was deemed the ‘expert’ on all things related to assisted living facilities, the township’s comprehensive plan, process and the like. In contrast to Yarnoff’s, Ms. Larkins had prepared a PowerPoint presentation to explain the timeline for the zoning change, other municipality ALF comparisons and a background (explanation) as to why the DNA opposed the proposed C-1 zoning change. Thorough and professionally delivered, Larkins repeatedly made the case that the DNA did not oppose ALFs in the township; it opposed a zoning change to permit assisted living usage in C-1. After Yarnoff and Larkins presented their opening remarks, the meeting started a downhill spiral and to many in the audience, quickly became out of control. Although Lukens had asked that the C-1 zoning change be the focus of the discussion, every couple of minutes the comments and suggestions returned to the Jimmy Duffy site and whether the changes would work for that project. Resident after resident questioned the PC as to why the ‘rush’ to make this decision; why not wait for the results from the $100K consultant hired to review commercial zoning in the township. Like so many, I was frustrated that no matter what the issue, the Planning Commissioners deferred to Denise Yarnoff; wanting to make sure that their changes would fit the proposed ALF project. In desperation, I told the PC members that it is no wonder that we believed this C-1 change to be ‘spot zoning’ – every time the public brings up a point, you defer to Yarnoff and the plan. Lukens stated that he wanted the C-1 ordinance change to be about all C-1 properties but there was no discussion to support his opinion. Is development so important in this township, that we cast aside reasonable discussion, review of other municipal ordinances, ignore the township’s comprehensive plan and instead do whatever a developer wants, so the project ‘works’? Density. Minimum Lot Area of not less than 650 square feet per unit. At least 10 percent of the lot area shall be provided as passive recreational space for the residents of the ALF. Such space shall include outdoor seating areas, interior courtyards, pedestrian walkways and/or similar facilities. 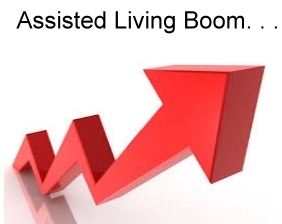 The maximum number of beds per Assisted Living Facility building shall not exceed 100. Prior to voting, the public continued to weigh in with their displeasure. There was not one person in the audience who favored pushing this ordinance change through including attorney Dan McLaughlin, vice chair of the Zoning Hearing Board. McLaughlin lives in the Daylesford neighborhood and offered very impassioned, effective remarks as to why the Planning Commissioners needed to hold off taking a vote until all questions were answered. I did not think it possible that the Commissioners could ignore McLaughlin; but they did. Trip Lukens called for a vote on the C-1 zoning ordinance change stating he would abstain due to the 10% open space requirement. Without pause, the remaining six PC members voted to recommend the C-1 zoning change to the Board of Supervisors. No one will convince me that the PC vote to change C-1 zoning ordinance change was not based on one developer and one development project. Every decision on what to include in the ordinance change balanced against the backdrop of whether it would fit the proposed assisted living facility at the Jimmy Duffy site. With so many, many unanswered questions surrounding this project, including the use of the R-1 parcel, grandfathered usage, invalid sketch plan, etc., how could the Planning Commissioners refuse to do their homework and instead, push it on to the Board of Supervisors. I thought it was the responsibility of the Planning Commissioner to thoroughly understand and vet the situation before recommending it to the supervisors. Guess not. Rather than relying on the expertise of the Planning Commissioners, it will now be up to the supervisors to find the answers. Updated Draft C-1 Zoning Ordinance Amendment … Looks Like ‘Spot Zoning’! Per the July Planning Commission meeting, attorney Denise Yarnoff returned to the drawing board to add her style of regulations to the proposed C-1 zoning text amendment change. If you recall, her client Ed Morris, presented a sketch plan to the Planning Commission for an assisted living facility on the old Jimmy Duffy catering site on Rt 30 in Daylesford. Ms. Yarnoff’s first draft of the C-1 zoning ordinance change was met with great displeasure from many in the community; vague and without associated restrictions or requirements for assisted living facilities. More or less, an ‘anything goes’ kind of approach to the zoning ordinance change … no restrictions in the way of height, buffer, lot size, bed density, nada. In other words, the proposed zoning change suggested a carte blanche approach for developers; i.e. build any size assisted living facility on any lot size in C-1 commercial zoning districts in Tredyffrin Township. No surprise that Daylesford neighbors, and many other community members, balked at Ms. Yarnoff’s initial draft ordinance. To be clear; Denise Yarnoff wrote the draft zoning text amendment change for Tredyffrin Township but on behalf of her client, developer Ed Morris. Although I still do not understand this process of having a developer’s attorney write township ordinances, apparently, it is legal and that other municipalities handle this type of situation similarly. As I said in an earlier post, ‘if’ (and that is a big ‘if’) I buy into the reasons (financial, etc.) that a developer’s attorney can write a draft township ordinance amendment, I think that any revisions to the document need to come from the township (either staff or Planning Commissioners). At least in the case of the proposed C-1 zoning ordinance amendment change, this was not how it was handled … Ms. Yarnoff did the rewrite on the text amendment and has resubmitted it to the township for next week’s Planning Commission meeting. The assisted living facility shall be licensed by the Commonwealth of Pennsylvania. Looking at this list, I would expect nothing less from a good real estate attorney – the client is paying her hourly rate and she needs to get the best deal for him that is possible; I get it. However, seriously, I am embarrassed for Ms. Yarnoff … I’m no attorney, but is this the best that she could come up with? Does she think that these are acceptable restrictions? Bed density was one of the major problems that many neighbors and township residents had with the Morris sketch plan of the proposed assisted living facility. His plan suggests 93 beds/79 units on the 1 acre C-1 Jimmy Duffy site — a higher bed density than anywhere in the county, including the downtown West Chester. Because so many residents took issue with bed density, it made sense that Ms. Yarnoff would probably lower that number, make it less dense in the re-write of the proposed zoning ordinance amendment. Not so … in restriction #4, Yarnoff increased the permitted bed density to 120 beds! So much for listening to township residents. Looking at #2 of Ms. Yarnoff’s restrictions which requires that assisted living facilities in the township be built within ¼ mi. of a regional train station. Doesn’t that restriction make it convenient for the ‘Jimmy Duffy Assisted Living’ project? How in the world can this restriction in the proposed zoning ordinance change not be viewed as ‘spot zoning’. How many C-1 properties, other than the Jimmy Duffy location, could meet this restriction? How about #6 on Ms. Yarnoff’s list of restrictions — licensing. Isn’t licensing already a state requirement for assisted living facilities. How does this add to the proposed zoning amendment change? Lot size … where exactly is the lot size requirement in this proposed zoning change? Without offering any lot size restrictions, is Ms. Yarnoff suggesting that ‘anything goes’? In Tredyffrin, build an assisted living facility on a postage stamp lot and it can have 120 beds! Don’t we need a minimum number of acres for assisted living facilities in Tredyffrin Township? Remember, currently assisted living facilities is included in the township’s Institutional Overlay (IO) district — with a 10-acre requirement. Some argue that the 10-acre restriction is antiquated and needs updating. However, I cannot believe that the township needs to go from 10 acres down to no acreage requirement for assisted living facilities. And folks, remember that the township recently signed a $100K contract for consultants to review and make recommendations on commercial zoning in the township. What about waiting for those results before we make a change that will affect commercial zoning in the entire township? The next opportunity for public input is on Thursday, August 16, 7 PM at the Planning Commission meeting. What is the Price Tag for Economic Development in Tredyffrin Township? What is the price tag for economic development in Tredyffrin Township? Is it economic development at any cost; or is the answer to the question … whatever it takes. Is it OK to ‘green light’ a land development project in Tredyffrin Township even if it doesn’t meet current zoning regulations? Is it OK to change zoning usage to suit a particular developer (and his plan) simply for the sake of economic development? Is it OK to change zoning to accommodate a specific project and developer … and by so doing, change zoning for the entire township? Is it OK to have developers and their attorneys create zoning ordinance amendment changes to Tredyffrin Zoning Code … to suit their particular needs? I’m talking about the old Duffy Catering site on Lancaster Ave. and the proposed assisted living facility. No land development plan has been ‘officially’ filed with the township, yet there are some appointed and elected officials who seemingly already have the facility built! Facts and the required process seemed to have been discarded in favor of what ‘some’ officials believe should be the desired outcome. In this case, that means change zoning to allow a developer to construct a multi-story assisted living facility on barely 1 acre of commercial property when current zoning only permits such use on 10 acres as an institutional overlay. At first blush, a resident might think that building an assisted living facility on the old Duffy property on Route 30 is a good idea. Before knowing all the facts, I probably would have agreed that this sounds like a good use for the property. I’m not opposed to an assisted living facility in Tredyffrin Township and …, as long as an open and transparent process is followed, all questions are answered and no rules are changed or broken, such a project could have my complete support. I need to be very clear … this requested zoning ordinance amendment change is for all C-1 zoned property in Tredyffrin Township. The developer and some of our local officials would like to have it both ways. On one side, they refuse to admit that this requested zoning amendment change permitting assisted living facilities as a usage in C-1 zoning is ‘spot zoning’. But on the other hand, they would have us believe that there would be no plans for assisted living facilities in any other C-1 locations. Sorry, but I don’t think they can have it both ways. : the illegal singling out of a small parcel of land within the limits of an area zoned for particular uses and permitting other uses for that parcel for the special benefit of its owners and to the detriment of the other owners in the area and not as a part of a scheme to benefit the entire area. I would love for someone to explain to me how changing zoning to suit a specific developer and his plan is not ‘spot zoning’ … looks to me like the Duffy assisted living project fits Webster’s definition! The draft plan for this assisted living facility indicates a bed density of 93 beds on 1 acre. It is my understanding that this level of proposed 1-acre residential density for the Duffy property does not exist anywhere else in all of Chester County! It is also interesting to note, that changing C-1 to permit an assisted living facility usage also has not occurred in Chester County. Commercial zoning is for the regulations of goods and services not people; which is why assisted living facilities would typically be found in residential zoning code not in commercial zoning code. §208-99. Nonconforming buildings or uses. D. Restoration. Building reconstruction to restore a building containing a nonconforming use shall commence within one year of the date the building was destroyed or condemned and shall be carried on without interruption. E. Discontinuance. If a nonconforming use of land or of a building ceases or is discontinued for a continuous period of one (1) year or more, subsequent use of such building or land shall be in conformity with the provisions of this chapter. The Duffy property has sat vacant (and for sale) for at least 4 years, which means (according to Tredyffrin Zoning Code above) that the developer for this proposed assisted living facility cannot use the R-1 parcel for parking in his plan. Clearly exceeding the discontinued use of 1 year per the Tredyffrin Zoning Code, no grandfathering on the R-1 parking is permitted. We can add this to the list that makes this proposed assisted living facility at this particular location problematic. Or, is it possible that our elected officials may just ignore the township’s Zoning Code to accommodate the project? We should not forget that two months ago, our supervisors voted to spend $100,000 for consultants to review the township’s existing commercial zoning and make recommendations. If the township is spending $100K for professional zoning advice, it would seem that there should be a moratorium on any zoning changes until the zoning expert has an opportunity review and weigh in. My guess is that setting precedent by changing C-1 zoning to include assisted living facilities without any regulations or restrictions would not be something that most zoning experts would think is a good idea. If an assisted living facility as a usage in C-1 zoning is so important, why wasn’t it included in the update of the township’s comprehensive plan completed just 3 years ago, in 2009? Why is there such a sense of fait accompli among some of the appointed and elected officials in this township in regards to this project? The proposed assisted living project may have started out as a ‘not in my backyard’ (NIMBY) zoning battle between a Daylesford homeowner and a developer but now has many of us in the community asking questions. Perhaps originally only concerned for her backyard, Trisha Larkin, the Daylesford Neighborhood Association president is now taking a stand for her neighborhood and for the township. An online ipetition has been created to “Oppose Ordinance Amendment adding Assisted Living Facility use in Commercial (C-1) Zoning in Tredyffrin Township”. Changing C-1 zoning to include assisted living is not just a Daylesford neighborhood issue; it is a township wide change. If you would like to add your name to the petition, click here. For some of the appointed and elected officials in this township, the requested C-1 zoning change to permit assisted living facilities may be a fait accompli, but for some residents, that decision may be far from over. Again, I ask … what is the price tag for economic development in Tredyffrin Township?